Fibre: Are You Really Getting Enough? Everyone knows they need to eat a diet rich in dietary fibre for good gastrointestinal health. Most people also know good sources of dietary fibre are fruit and vegetables and wholemeal grains, and that eating enough fibre ‘keeps you regular’. Reduces your risk of heart disease, constipation, haemorrhoids, diverticulitis, colon cancer, obesity. Most people have no idea of how much fibre they actually need. Very few people eat anywhere near the amount of fibre they need each day. The recommended daily intake is 20-30g fibre per day. But research has shown that actually consuming 75-100g might be more helpful. However, you are highly unlikely to be eating anywhere near 75g as most people don’t even manage the 30g recommended. Fibre has a laxative effect, so helps reduce the incidence or severity of constipation. It binds with cholesterol so the cholesterol cannot be absorbed. It feeds gut flora (the good ones) to nourish the colon cells. Fibre stops blood sugar spikes because fibre rich foods are Low GI. Fibre helps with weight control. Fruits and vegetables are good sources of fibre and should make up the greater part of your diet. Avocados, vegetables from the cabbage family including broccoli, kale, cabbage, cauliflower, and Brussels sprouts, root vegetables and green peas are all good vegetable choices, high in fibre . Fruits with edible seeds, apples, pears (not too ripe) and raspberries are good fruit choices. The simple way to increase the amount of fibre in your diet is to replace some meat and processed carbohydrates, such as white rice, with nutritious, high fibre alternatives. The foods that work the best are pulses/ legumes and quinoa. These foods are high in protein and act as suitable meat substitutes. Most people are familiar with using dried pulses in their cooking, but often they forget they’re a simple meat substitute. Pulses and legumes provide you with a nutritious, high-fibre vegetarian meal as they’re all nutrition packed, as well as high in fibre. 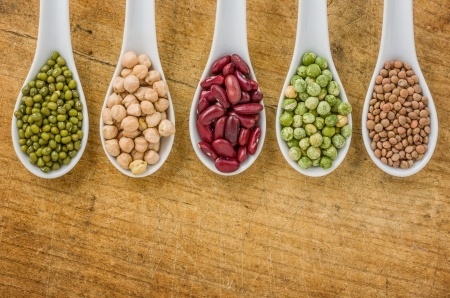 Legumes have more fibre than any other food, and blackbeans are the highest. In addition, unlike meat, beans are low in fat and cholesterol-free. Although legumes are a starchy food the starch is not digested easily, therefore avoiding the sugar spike you get from many other carbs. Because they are high-fibre it means they stop you getting hungry – a great addition for weight control. A few years ago I replaced the beef in burgers made for my family with mashed chickpeas and added a few finely chopped vegetables. The result was delicious and my boys loved them. They made the perfect vegetarian burger with bread, lettuce, tomato etc. But with the chickpea patties they got more vegetables as I added as much as the basic legume mix could hold without falling apart, and chick peas are low GI carbs, and full of protein, perfect for growing boys. Kidney beans would also work really well here. Legumes make wonderful contributions to most stews and casseroles, pies and many salads. In a meat-based dish you can cut the meat by half and substitute with beans. You get dietary fibre, less cholesterol and less fat than with meat. 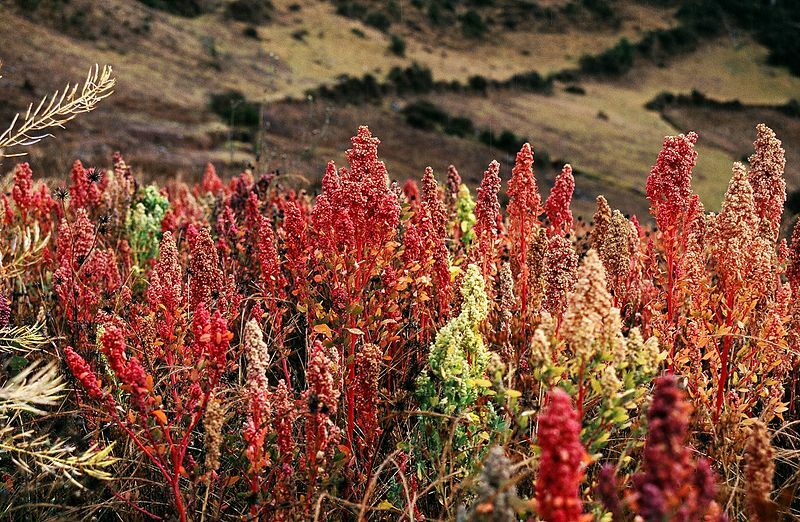 Quinoa is a fairly new addition to western diets. Did you know that it contains nearly twice as much fibre as any other grain (although it is actually a seed not a grain)? It is incredibly nutritious. 100g of quinoq provides a whopping 7g of fibre – 2.5 times the accepted RDA, and enough to meet the new recommended levels! Quinoa is so versatile that you can substitute it in a dish for rice, add it to soups, casseroles, or even use it to make a sweet breakfast porridge. You can even sprout it! It is a gluten-free staple so makes a perfect substitute for gluten-grains such as burghul in dishes like tabbouli. Quinoa provides all the required amino acids for the human body in excellent proportions, (including lysine). 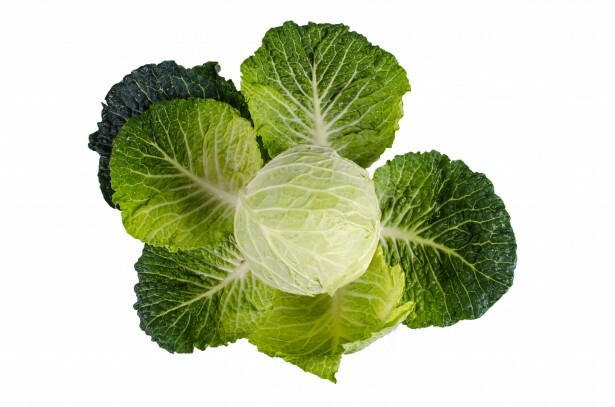 It is high in iron and calcium, a good source of magnesium, manganese and copper and phosphorous. It is a good source of B vitamins, vitamin E and omega3 and omega6.100g of quinoa contains 46% of the daily requirement of folate. And, it provides similar energy to other major cereals. Quinoa must be prepared properly. Wash it in cold water repeatedly until all the foam disappears before you cook it. Cook quinoa the same way as you cook other staples like buckwheat, rice, etc. Roughly, one cup of dry grains cooks up to three cups and becomes fluffy and chewy with a pleasant taste. Quinoa flour can be mixed with other flours to enrich the overall quality of the meal. How Much Is 30g Of Fibre? You are most likely to already be eating a number of foods in your day that contain fibre. So you don’t actually need to eat 10 apples, 15 cups of broccoli or 15 slices of wholemeal bread to get your recommended 30 gms of fibre. But these figures do give you some idea of just how easy it is to get insufficient amounts and why you need to be conscious of including fibre rich foods every day. Make the change and try out more dishes based on legumes and quinoa to your diet. Do something your body will thank you for.